Boasting pride of place in Ilkley’s town centre is a wonderful building dating back to 1860. A grand entrance door way leads into a traditional yet contemporary English pub. copper top tables and a roaring fire (for the colder months) create a warm welcoming atmosphere, not to mention the authentic dark wood bar stocked with eight hand pulls and an extensive wine list. 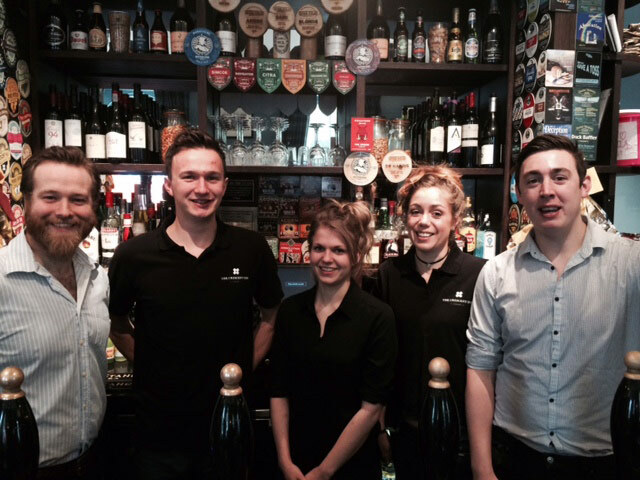 A free house, serving eight real ales, 15 wines by the glass and honest home cooked food. Enjoy all this in the comfort of our contemporary English interior with a roaring open fire for the colder months and outside seating for warmer days. Relax on handcrafted furniture upholstered in locally made cloth while you read the paper, sample our ales & food, but be careful, you could end up staying all day. We have a passion for great ale and hunting out well and lesser known ones brings us much pleasure – we hope you share our enthusiasm and enjoy our changing selection. Top quality ales and wines wouldn’t be complete without a great menu. That’s why we create a selection of dishes using the highest quality ingredients that’s sure to please many palates. Whether you visit as a moor-top traveller, or a local that enjoys a little extra comfort, The Crescent Inn has much in the way of ale, wine, food and bedrooms to tempt you. The bedrooms are inspired by the ever changing moor-tops and local wool industries where some of the world's finest tweeds and cloths are made. 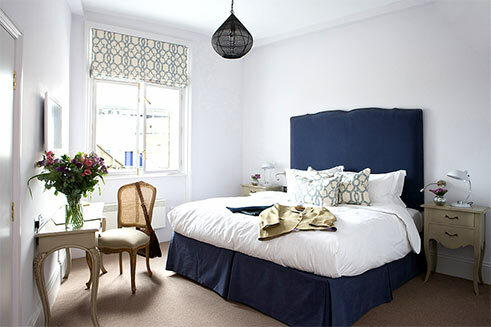 We have typically English styled bedrooms and ones that nod to a French country style. We occupy a landmark building in Ilkley and because of this we’ve been keen to reference our Yorkshire heritage throughout. Local moors names have been used as room names, such as Appletreewick, Askwith and Kettlewell. As well as the aforementioned local cloth, you’ll find images of famous West Yorkshire locals and sportsman adorn the pub and communal walls. We’ve hung bespoke black and white Yorkshire photography in the bedrooms which captures and reflects the local scenery, reminding guests of where they are and what is around them. Have we tempted you into booking a stay with us? 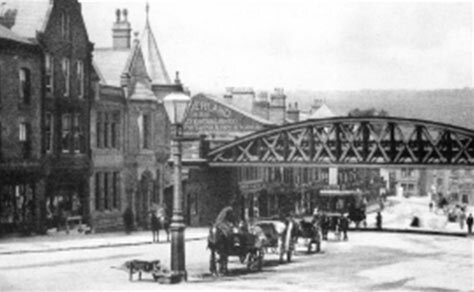 The Crescent Inn was built on the corner of Brook Street and Leeds Road at a time when there was much development happening in Ilkley. The original ‘Crescent Hotel’ was built for £8,000 using local stone quarried from Ilkley Moor. It had stables and a bowling green. The first of ‘The Middleton Land Sales’ was held at the ‘Crescent Hotel’. Over its life as a hotel over many decades, The Crescent has lost its bowling green, rear coach house, stables and loose boxes, but the building is still impressive and retains many original features, all of which are enjoyed from its prominent corner position – majestic and proud in the heart of Ilkley. Bistrot Pierre for the hungry traveller.